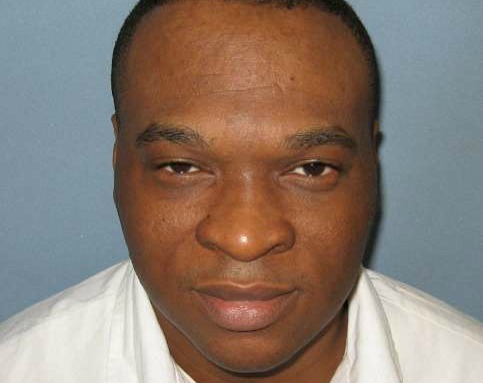 Robert Bryant Melson was executed by the state of Alabama on Thursday, June 8, 2017. He was pronounced dead at 10:27 pm CDT, inside the execution chamber at the Holeman Correctional Facility in Atmore, Alabama. His execution was delayed several hours due to appeals. Robert was 45 years of age. He was executed for the murder of 18-year-old Tamika Collins, 17-year-old James Nathaniel Baker, and 23-year-old Darryl Collier on April 16, 1994, in Gadsden, Alabama. Robert spent the last 23 years of his life on Alabama’s death row. Around 12:00 am on April 16, 1994, four employees - 18-year-old Tamika Collins, 17-year-old James Nathaniel Baker, 23-year-old Darryl Collier, and 17-year-old Bryant Archer - were closing Popeye’s, the restaurant at which they worked. Bryant and James were taking out the trash, while Darryl waited to unlock the door and let them back in. Upon opening the door, a black man and a hispanic man entered the restaurant and ordered the four employees, at gunpoint, into the office of the restaurant. The employees were then ordered to open the safe, from which the two men took all the cash. The employees were then ordered to get inside the restaurant’s freezer, where they were locked in. A short time later, the black man opened the door to the freezer and began shooting. Tamika, James, and Darryl all received fatal, close-range gunshot wounds to the head. Bryant was shot four times, but was able to crawl from the freezer, to the office, where he called the police. Bryant survived his injures. He was able to identify the hispanic male as Cuhuatemoc Peraita, a former employee. He did not recognize the black male. Bryant also told police that it was the black male that locked the employees in the freezer and shot them. Although Bryant did not see the car the two men were driving, he was able to tell police why type of car Peraita had - an older model black Monte Carlo. Police were able to put out a notice that evening and Police Officer Terry Graham recognized the car and the description of the two men. Officer Graham was able to apprehend Peraita and Robert Melson, a black man who was with Peraita and matched the description of the second suspect. During police questioning, both men initially claimed that they were together, driving around and smoking marijuana that night. They admitted to driving by Popeye’s, but claimed they never went inside. A few days later, Melson gave another statement, alleging that Peraita committed the crime alone. Police found clothing at Peraita’s house matching the description of the clothing worn by the robbers. Police also found money in a bag, and shell casings in the front yard that matched the murder weapon. The Alabama Department of Forensic Sciences were also able to compare shoe prints found at the scene to determine that they matched the shoes Melson was wearing when he was arrested. Melson was convicted of murder and sentenced to death. Peraita was also convicted of murder and sentenced to life in prison without the possibility of parole. He is currently on death row for murdering another inmate while in prison. Please pray for peace and healing for the families of Tamika Collins, James Nathaniel Baker, and Darryl Collier. Please pray for Bryant Archer. Please pray for strength for the family of Robert Melson.